Terrorist attempts to stab officers at police HQ. No casualties. 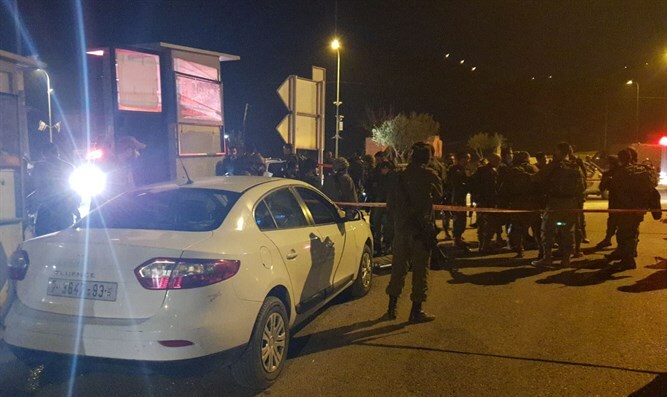 An attempted terrorist attack occurred at the Police headquarters in Samaria Monday evening. The terrorist attempted to stab the officers stationed there and was neutralized. Last month, a terrorist tried to run over soldiers and civilians standing at the bus stop nearby. No one was hurt. No one was hurt in the attack. The terrorist who was shot by IDF forces was evacuated to Beilinson Hospital in Petah Tikva when he was in moderate condition. Samaria Regional Council head Yossi Dagan, said in response: "The brazenness of terrorists to return to the same place once again and try again to harm Israelis shows that the deterrent power of the State of Israel has been damaged." "If the checkpoints were returned, if the IDF was taught to carry out reprisals against the terrorists, if the defense minister and the prime minister were to complete the NIS 400 million gap in the security components of Judea and Samaria, we may not have had to hear time and again about terror attacks in our region," Dagan said.